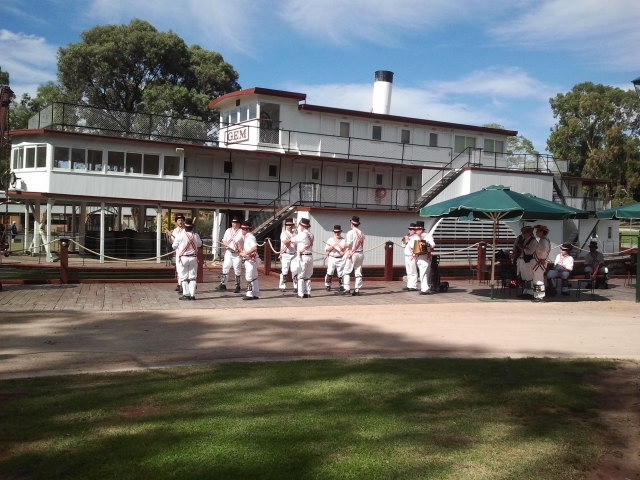 The Adelaide Morris Men » Blog Archive » Swan Hill? Nope! It’s totally flat! Swan Hill? Nope! It’s totally flat! 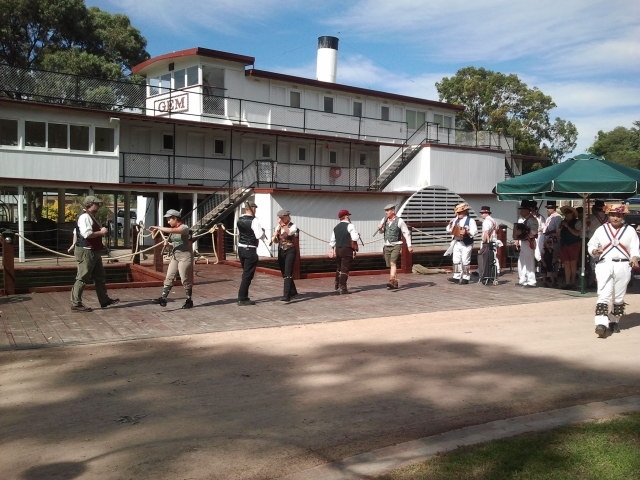 Well it was slipping on the comfy old jumper known as our annual tour to Swan Hill for a dose of history and dance in early March of 2013. 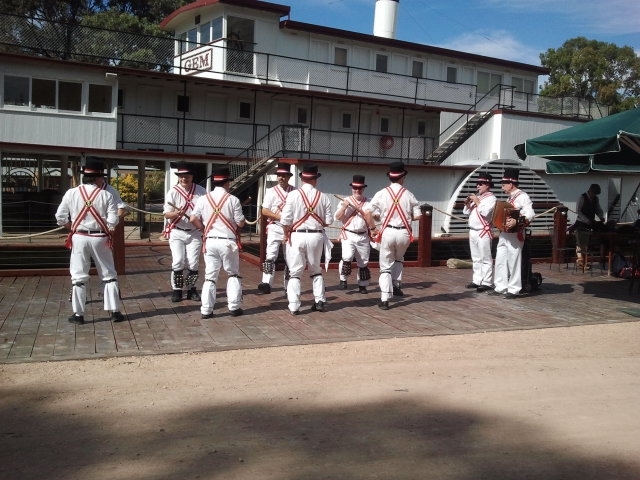 Tyler’s Oz Morris dancing in front of a steam boat. Kudos to Rob for his superlative organization of the whole box and dice which always has, and I’m sure always will, make the drive there and home well worth it.